F1 teams are unsure the aerodynamic changes for the 2019 season will have a significant impact in improving racing. Formula 1 teams are unsure whether the aerodynamic changes for the 2019 season will have the desired effect in improving the quality of racing. Tweaked technical regulations - including simplified front and rear wings - will be introduced for 2019 in a bid to improve the on-track spectacle by enabling cars to follow each other more easily and help promote overtaking opportunities. Despite the hope of achieving better racing, leading figures from F1 teams have expressed concerns over the impact the changes will have. “I think [FIA single-seater head] Nikolas Tombazis summed it up quite welI, I think he said you’ll never get a Formula 1 - which is essentially an aerodynamic formula - following like a touring car,” outgoing Williams performance chief Rob Smedley said. “It just won’t happen, physics won’t allow that to happen. So you have to accept that cars are difficult to follow, especially with this generation of cars and the amount of downforce that they generate. “I think we’re all a little bit tentative about exactly what it’s going to look like and that is the fact of the matter,” he said. “We’re going to have to wait until next year to actually see what the implications are. “Of course, ten teams will come up with ten solutions, some of which we won’t even have thought about and then that may well move the goalposts slightly. I think we are attacking the right areas. Renault chassis chief Nick Chester added: “In one year you couldn’t do all of the changes that are planned eventually for 2021. Formula 1 sporting boss Ross Brawn said he has been encouraged by the simulation work carried out to assess what impacts the 2019 technical changes should have on racing. 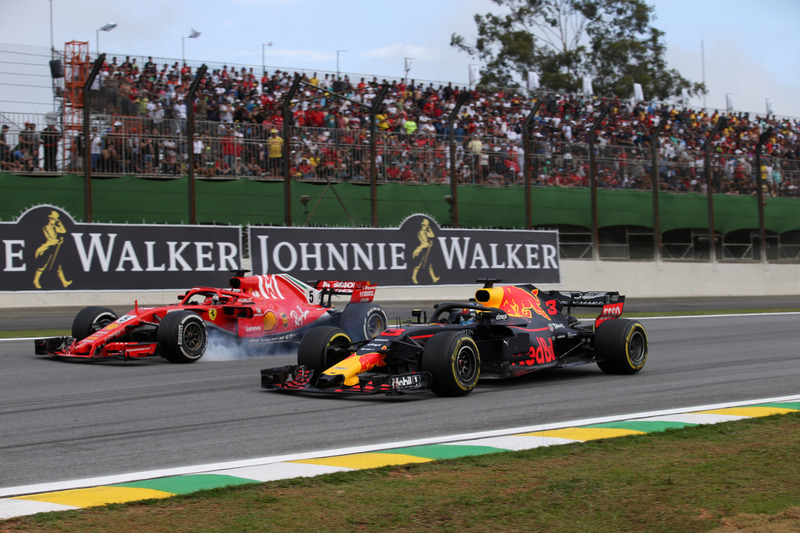 “Once again we saw in Brazil that when the performance level of two cars are more or less the same, then overtaking is almost impossible," Brawn said. “During 2018, we have made significant progress in defining next year's technical regulations, especially regarding the key area that is the front wing and in the last few weeks, we have worked out the fine details,” he added. “Our simulation work and from what the teams, with which we have worked closely on this, tell us [is that] the effects are tangible, even though we are well aware that the real proof will only come next March in the Australian Grand Prix.